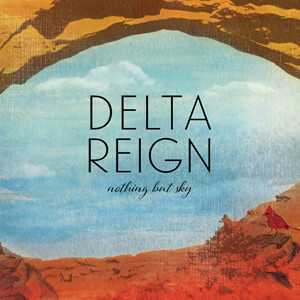 Home » Artists » Archive for category "Delta Reign"
Delta Reign is gaining even more momentum after a extremely busy summer the hot reviews for their record keep piling up. 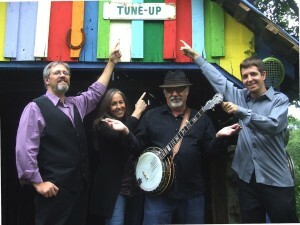 Bluegrass Unlimited released their new issue with extremely high praise for the new record titled “Nothing But Sky”. Nothing But Sky from Delta Reign ! There’s a sweet sound coming out of the Mobile River region of Alabama. Just as individual rivers flow to form a delta, so has Delta Reigncome together combining different musical influences to create their own distinct style. “Nothing But Sky” is the culmination of this merging. Delta Reign is made up of the dynamic husband and wife duo of Pat Murphy and Benita Murphy from Mobile, AL, with George Mason and Joshua Faul completing the group. Pat is a hard-driving and innovative banjo player who assists in the music arrangement. Benita is a singer/songwriter and arranges most of the group’s music. She plays a strong rhythm guitar while occasionally adding the rousing swing rhythm that the band is well-known for. Dazzling fans with his fiddle, George is from Gulfport, MS and has an impressive musical resume which is full of exceptional experience that helps set Delta Reign apart. His tenor vocals enhance the group as well. Also from Gulfport, MS, Joshua is the newest member of the band. Originally an electric bass player, he happened upon the upright bass while filling in with the band for a performance. He instantly fell in love with it and has kept the band together with his smooth and steady bass playing ever since. Since joining Travianna Records, with its belief “Music…No Boundaries,” Delta Reign has enjoyed the freedom of not conforming to anyone else’s rules. They have relished experimenting with recording, instrumentation and musical styles. In fact, when Benita first heard the song, “Nothing But Sky” she knew instantly that it would be the title track of their new project because of the simple, unlimited freedom it describes. In the past the group has been best known for its swinging style they call “Delta Grass,” but with their new project, they take a small turn and include added elements of bluegrass giving it a more grassy, Americana feel. The album includes many types of songs with some impressive songwriters. The title track, “Nothing But Sky” was written by Ed Williams and upon hearing it, the band quickly adopted its lyrics as their vision. Other songwriters include Alan Rhody, Bart Butler, Tony Ramey, Vip Vipperman, Cameron Earnshaw, Robert George and even Elvis Pressley. The album, “Nothing But Sky” includes everything from an emotional ballad, bluegrass story songs, a ‘barn burner’ and western swing tunes. There’s something for everyone. Aaron Ramsey, of Mountain Heart fame adds flair to a few tracks including the first track, “Calico Sundown” with the Weissenborn guitar and acoustic guitar. Sean Murphy provides drums.